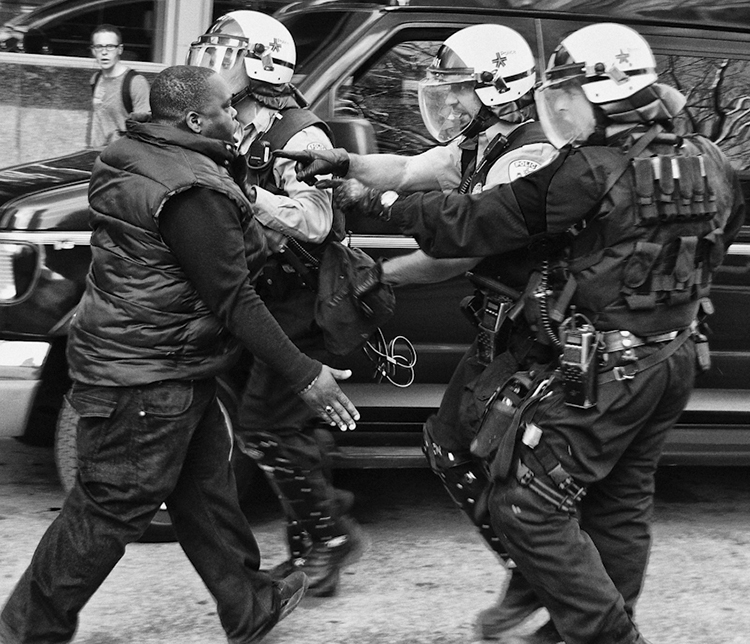 As a May Day demonstration in Montreal turns to confrontation between anarchist groups and riot police, some people got arrested for no reason, like this man. His only crime is to be at the wrong place, wrong time. He was panicking, shouting his innocene to the policemen, but they handcuffed him anyway.